Home Lambretta are a rock band from Sweden: pop rock. Max Martin Lambretta have released 3 albums. 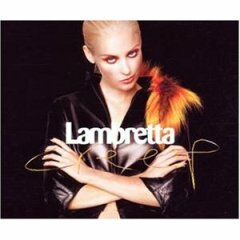 Lambretta write a lot of their songs and have had songs co-written by Max Martin and Per Aldeheim on their last 2 albums. Rami Yacoub 19 September 2006: Niklas from Sweden emailed and told me that Linda Sundblad from Lambretta will go solo and Max Martin and Alexander Kronlund will help her with the album. Her Album "Oh My God" is out 8 November! Awesome news! Thanks! Link: Musikjournalen Linda går solokvist . Looking forward to it! 12 Ashley Parker Angel This is the 3rd album from Lambretta! The 3 songs listed above are very catchy , but I am also loving Chemical, Strip, Forgotten and Get It Right. 18 Britney Spears 3. Anything P. Aldeheim/M.Martin. Produced by Per Aldeheim. Backing vocals by Max Martin. 19 Bryan Adams 4. Invisible P. Aldeheim/M.Martin. Produced by Per Aldeheim. 24 Celine Dion 9. Pathetic P. Aldeheim/M.Martin/Lambretta. Produced by Per Aldeheim. 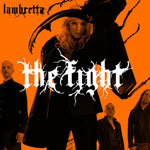 38 Fireal The second album from Lambretta. I love Bimbo and Creep but also love Wake Up Girl, I Know, Piece of My Heart. 46 James Blunt 4. Perfect Tonight P Aldeheim and A Kronlund. Produced by Per Aldeheim and Alexander Kronlund. 49 Justin Bieber 6. Piece of My Heart J von der Burg, H Sommerdahl and A Eliasson. Produced by Jonas von der Burg and Harry Sommerdahl. 50 Kahsay 7. Cry In My Arms L Sundblad and H Edenhed. Produced by Anders Eliasson co-produced by Linda Sundblad. 52 Kelis 9. Love To Hate You A Eliasson. Produced by Jonas von der Burg and Harry Sommerdahl. 54 Kesha 11. You Will Never L Sundblad, T Malm and A Bhagavan. Produced by Jonas von der Burg and Harry Sommerdahl. 55 Lambretta 12. Give Me Love L Sundblad, D Munday and R Heath. Produced by Henrik Edenhed.